An apprentice opportunity in Brooklyn, NY. 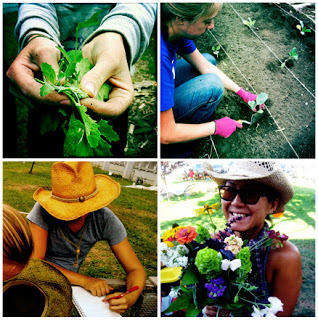 Through a season on the Youth Farm, you will become intimately familiar with the tasks, challenges, and rewards of growing many varieties of vegetables and flowers appropriate to our region and diverse NYC community. Through this 20-hour per week commitment, you will gain a sense for the physical, mental and spiritual energy required to produce nutritious and delicious food, beautiful flowers, and a rich and harmonious community space. Hand-on work, formal instruction, field trips and independent projects will all form part of your learning environment. You can expect to walk away with an array of technical, organizational and critical thinking skills needed to produce nutritious food, and a clearer picture of how you see yourself pursuing a career related to sustainable agriculture. Our Certificate in Urban Farming provides an excellent foundation for any future food systems development work.